We recently celebrated Wilf's 4th birthday. When I asked him what sort of birthday cake he would like, he requested a Star Wars AT-AT cake. To be honest, I was hoping for something easier, maybe even something I might be able to buy from a shop. But, always up for a challenge, I went for it. Normally, I would visit Pinterest for inspiration and a template. 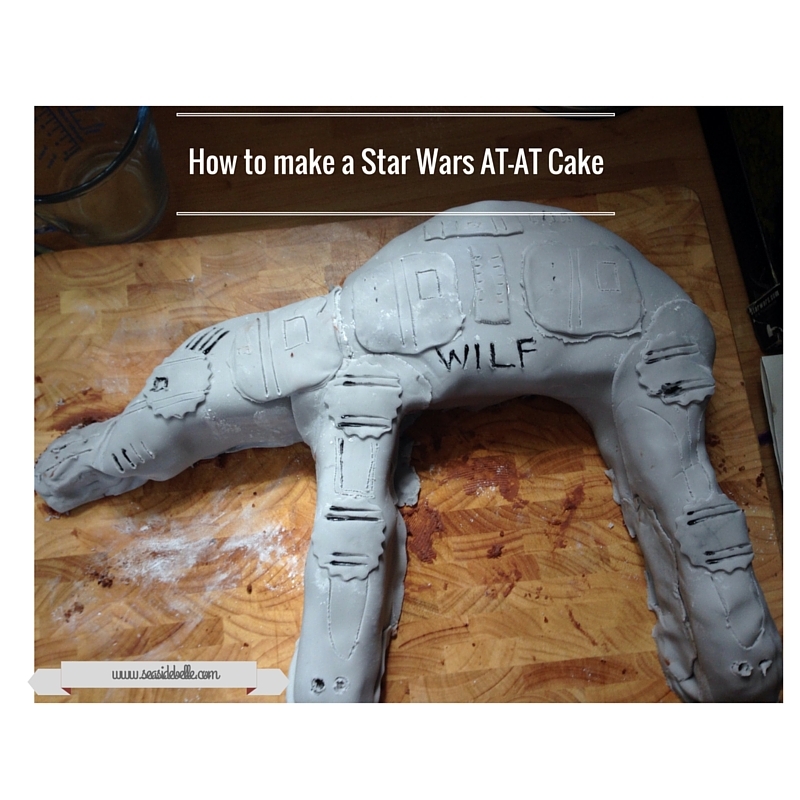 Sadly, when I searched for Star Wars AT-AT cakes for something to copy, I was out of luck. Instead, I managed to find some picture of AT-ATs to use as a guide. I have to admit, I was slightly overwhelmed by the task at hand. How would I manage to make the bulk of the cake stand on four, rather thin legs. But then I had an epiphany: I would create a lying down AT-AT. Put the butter and sugar into a large mixing bowl and mix until light and fluffy. Things started going a little bit wrong at this point as my electric mixer gave up the ghost, so I had to finish it off by hand. Add the beaten eggs, a little at a time, with a spoonful of the flour. When all the eggs and some of the flour are mixed in, add the vanilla extract and stir in the remaining flour and cocoa powder (chocolate milkshake powder). Stir until the mixture is smooth and lump-free. Put the mixture into the cake tin and bake in the oven for 1 hour. Once the cake is cooked - I used a skewer to check it was cooked through and ended up baking it for another 20 minutes as it wasn't quite done - turn it out onto a wire rack and allow it to completely cool. Cut the cake in half. One semi-circle will be the body of the AT-AT. Then slide two thin rectangles from the remaining semi-circle to make the legs. The remaining small semi-circle will make the head. Slice another thin rectangle to make the guns sticking out the front. Mix the softened butter and around three quarters of the icing sugar to make a smooth butter icing. Then spread the butter icing all over the cake: this is the glue to make the ready to roll icing stick. 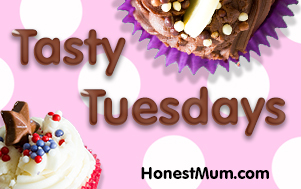 Add a few drops of black food colouring to the ready to roll icing and knead until you have the desired grey colour. 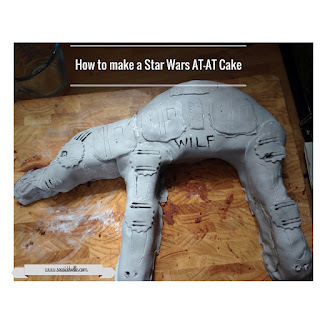 Sprinkle some icing sugar onto a clean surface and roll out the grey icing so it will cover your AT-AT, then smooth the icing over the cake and cut around the shape. To add further details to the AT-AT, I then used a cocktail stick and the black food colouring. It's not the most perfect cake in the world - none of mine are - but it was at least recognisable as an AT-AT. I'd love to see your versions. Wow what a fabulous cake! Thanks. Once I worked out exactly how to create the shape, it wasn't as difficult as I envisaged. I just wish I was a bit more artistic as I'm sure someone with a bit more flair could have finished it a lot more neatly!